An overview of questions and legal issues that most personal injury cases involve. ALL INFORMATION OBTAINED FROM YOUR SUBMISSION WILL BE HELD IN STRICT CONFIDENCE. You want to know the tactics used by adjusters to reduce the value of your claim. This guide contains important information that will help the reader understand the dog bite claims process from start to finish. It covers a wide range of topics from dealing with the adjuster, valuing your case, and selecting the right attorney for your case. The information supplied in this book is essential to anyone wanting to ensure that they are being fairly compensated for their injuries. Chapter One: The Most Common Personal Injury Cases. Chapter Two: The Five Myths Misconceptions About Personal Injury Cases. Myth 1:You cannot recover for your injuries because it was your fault. Myth 2: You cannot recover damages because there were no witnesses. Myth 3: You cannot recover because the other driver had no insurance or left the scene of the accident. Myth 5: You cannot recover because your injuries relate to a “pre-existing” condition. Chapter Three: The Five Mistakes That Can Ruin Your Personal Injury Case. Mistake 1: Failing to act immediately at the time of the accident. Mistake 2: Falsifying your injuries and symptoms or failing to follow your doctor’s advice. Mistake 3: Not hiring the right attorney or not hiring a lawyer at all. Mistake 4: Failing to be honest with your attorney. Mistake 5: Giving a recorded statement or signing a medical authorization for the defendant’s insurance company. Trap 1: Believing the insurance adjuster is on your side and is going to treat you fairly. Trap 2: Believing that you have to give a recorded statement. Trap 3 : Believing that you have to sign a medical or wage loss authorization. Trap 4: Believing the insurance company will tell you the truth. Trap 5: Believing the insurance company would not intentionally delay your case, hoping the statute of limitation runs out. Chapter Five: The Five Secrets The Insurance Companies DO NOT Want You To Know About. Secret 1: The Insurance Company Does Not Want You to Know the Type of Damages You Are Entitled To. 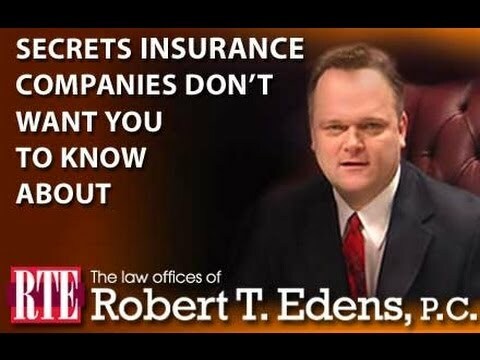 Secret 2: Insurance Companies Do Not Want You to Know, or Learn How to Find Out, What Your Injuries are Actually Worth. Secret 3: The Insurance Company Does Not Want You to Know the Long Term Consequences of Your Injuries. Secret 4: The Insurance Company Does Not Want You to Know What a Third-Party Claim is or if One is Available to You. Secret 5: The Insurance Company Does Not Want You to Know That Accident Victims Receive 2-3 Times More Money With an Attorney. Chapter Six: Five Arguments They Will Make to Deny Your Claim. Argument 1:You Caused The Accident. Argument 2: The Police Were Not Called or The Police Report States There Were no Signs of Visible Injuries. Argument 3: Your Injuries Were Pre-Existing and Not Related to The Accident. Argument 4: The Type of Doctor, Treatment or Facility Used to Treat Your Injuries Was Not Appropriate. Argument 5: You Can’t be Injured Because You Did Not Miss Any Work. Chapter Seven: Choosing The Right Personal Injury Attorney. Chapter Eight: Preparing Your Personal Injury Case. For over 20 years Robert T. Edens “Bob” has devoted his career to representing the interests of individuals injured by no fault of their own. Bob believes that the best client is an educated client. With this in mind he has completed three books which are written to educate the injured victim and help “level the playing field” with the all to often unscrupulous tactics of insurance companies. 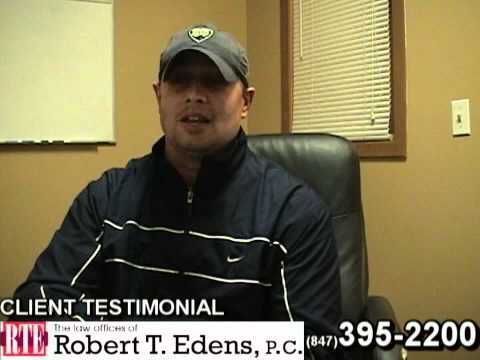 Bob’s mission is to provide his clients with the superior legal services often perceived to only be available at large downtown firms, while maintaining the personal service that is associated with small local law firms. Bob has been able to stand the test of years and now is proud to be able to give something back to the community that has given him and his family so much. It is important that you get the legal advise you need BEFORE you sign your rights away. Call Bob and get a FREE, honest, no hassle evaluation of the value of your case.Call us at our TOLL FREE number. The call is free, but the advice may be priceless. 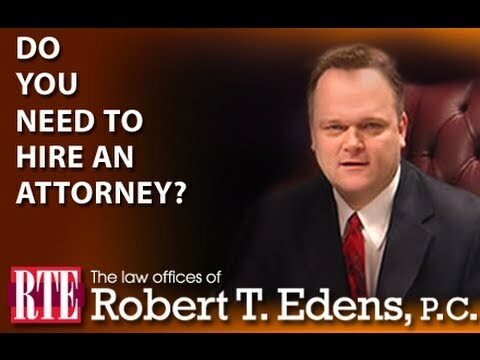 This book, as well as the other books written by Robert T. Edens, are not intended to offer legal advice. The book is for informational purposes only and should not be considered to create an attorney client relationship or to represent legal advise on any given topic. If you have specific questions about any case you may have, you should speak to a qualified attorney in your county and state. 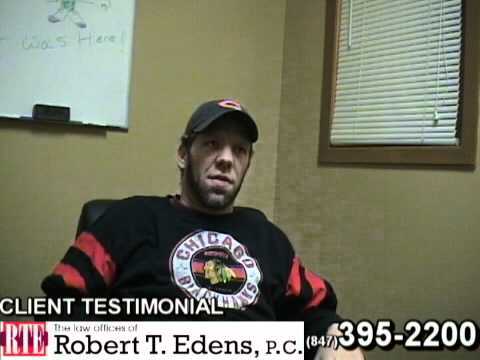 The author, Robert T Edens, is a licensed practicing attorney in good standing in the state of Illinois. The Illinois State Bar Association does not recognize or confer “Certifications” or “Board Certifications” to any attorney who may wish to specialize in any particular area of practice.